Norway is full of amazing vistas- but if you really want an eyeful, try driving the Trollstigen- if you dare! This winding, scenic and mountainous route translates to "Troll's Path." With 11 hairpin bends that take it on a zigzag up a mountainside and an average gradient of 9%, it is a bit of a challenge- but worth it! There are two amazing waterfalls to be seen on the way up, and views over the valley and mountain. There is a parking area, visitor's centre and viewing platform near the top of the road, for those who need a rest after the hair-raising journey! 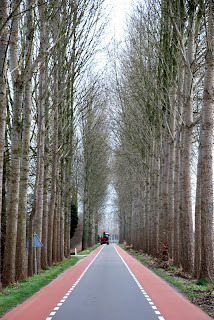 Although narrow, the road is definitely safe for motorhomes! Check out motorhome rental and roadtrip ideas for Norway to make your own trek up the Trollstigen! For the first time, a winner has been crowned in the UK- a winner amongst mobile homes. A collaboration between two magazines, Motorcaravan Motorhome Monthly and Which Motorhome, the inaugural Motorhome of the Year awards awards were held in Bedfordshire recently. There were several categories, but the main winner, named Motorhome of the year, was the Knaus Sky Ti 650 MF. It is a 4-berth German model, fixed bed and coach built. One highlight of the design is haveing a fixed bed without significantly reducing the living space, a difficult feat in motorhome design. It also has stylish and practical washroom and kitchen, and is overall a great motorhome for anyone wanting to get on the road. There were several other Coachbuilt categories, with the Tribute T-725 Sport taking out the Family Coachbuilt award, and the Adria Coral 670 SU winning Non-Fixed Bed Coachbuilt of the Year. For motorhome hire in the UK, have a look here! The Camping and Caravanning Club in the UK is making access to the Olympics and Paralympics easy for motorhome and caravan aficionados. During the summer of 2012 they will set up provisional sites which are close to the events, which will mean that a road trip around the UK and to the Olympic Games will be possible for a lot of people! This will cost 30 pounds a night, for a 3-night minimum stay, and will provide all the facilities- showers, toilets, water points, security, camp shop, TV lounge, and most importantly, a shuttle bus service running to and from Romford Rail Station, where you can take the train to Stratford, a 15 minute journey. These 3 sites are located in Gravesham, and are close to Ebbsfleet International Station which will have a high-speed rail link (10 minutes) to Stratford and the Olympic action. The two Rugby Club sites will have breakfast served daily and dining available for meal times if you don't feel like cooking. There will be plenty of on-site entertainment with a big screen TV in the clubhouse and themed nights, sports competitions, bar service and more. The Culvertsone campsite will have less in the way of entertainment on offer, but will have bar service and of course all 3 will have the necessary toilets and showers! All will cost 30 pounds per night. This site is the closest you will get to the action in a motorhome- 10 minutes walk from Olympic Park. The fee reflects this, being 45 pounds a night for a minimum 3-night stay. It will offer the sanitary facilities, full onsite catering with a cafe open from 6am to 10pm, and a bar and TV. Note that this campsite is within the Low Emissions Zone, which certain vehicles are charged to enter. Check it out before you arrive. More details on these sites can be found here! Nanutarra Roadhouse to Carnarvon, Australian Roadtrip. Between Port Hedland and Perth is a wonderful stretch of road joining Nanutarra Roadhouse and Carnarvon. The well maintained and wide road is a short distance from the western Australia coast and encompasses some beautiful sights and stops. Head South from Nanutarra Roadhouse and make a turn towards Exmouth Gulf. On the way up to Exmouth (or on the return) stop in at Kailis Fisheries where you will find a retail store stocked with delicious fresh and frozen prawns, crabs, squid and reef fish. (the shop is only open from April to November). Heading North reach Exmouth town. This is an ideal base to explore the North West Cape region and the perfect place to surf, windsurf, snorkel dive or fish. 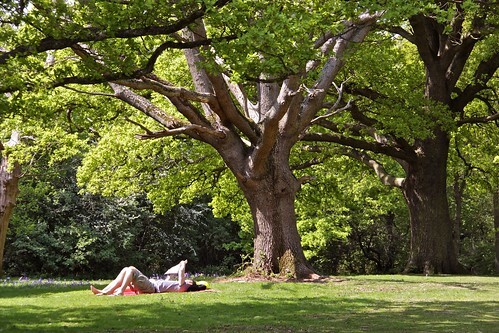 There are also many opportunities to bushwalk, birdwatch or take breathtaking pictures. Camp in the Cape Range National Park and experience the rugged beauty of this area with it's spectacular gorges and picturesque coastlines. Take in the panoramic views of Charles Knife Canyon from one of the many walking tracks or take a boat ride on the crystal blue waters to view the Yardie Creek Gorge. After you've seen everything that you want to see head south to Coral Bay. Stop in at Ningaloo Marine Park where divers can take a plunge around the exquisitly coloured coral reefs or viewers from boats can witness some awesome creatures such as Whale sharks, manta rays and humpback whales. Coral Bay is breathtakingly beautiful with a coral reef that stretches 2km into the bay to form a pristine lagoon. Surrounded by sparkling white beaches, Coral bay is the perfect place to lay in the sun, swim or snorkel. With two caravan parks and a basic supplies shop, you'll be able to stay in Coral Bay very happily. Track Notes: Sealed and good on most routes, Sealed but bumpy Minilya-Exmouth Road. Find a Cheap Campervan Hire deal at Motorhome Republic to do this Australian roadie or another fantastic one. Kings Canyon and Uluru Diversion - Roadtrip Australia! Take a roadtrip in your campervan in the outback of Australia and have the holiday of a life time! With so many spectacular sights to behold and roads to be traveled in Australia, this roadtrip is a winner! On the long expanse of road between Adelaide and Darwin take a turn in Erlunda heading west. 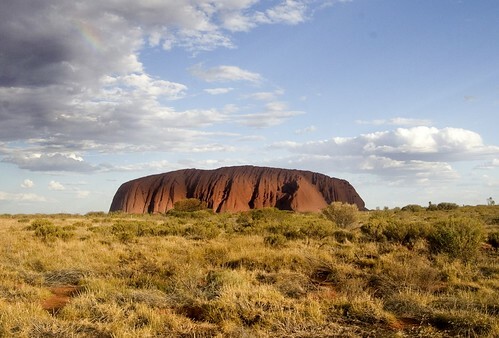 The magnificent view of Uluru or Ayers Rock will greet you near Yulara. Ayers Rock is an Australian icon and a wonder to behold. The colours of this magnificent monument, as it rises above the surrounding desert, will change at all points of the day. Be sure to witness it at sunrise and sunset to get all you can out of this experience. Climb to the summit, flock to the viewing points, join a tour around it or take a flight over the Rock. However you view it, it will be an unforgettable experience. Park your camper van in a large campground in the nearby town of Yulara. Not only are dogs allowed here if you're bringing along rusty, but the campground has clean amenitites and for those hot, hot days, a pool! A bit further down is another incredible site - Kata Tjuta or; The Olgas. The Olgas are giant granite domes that stand on their red sandy plain changing colours from red to grey to purple. A truly beautiful site to behold! Head the camper back on the same road you traveled in on and before you turn down towards Kings Canyon step up to the Outback lookout. Gaze upon Mount Conor, a striking flat topped mountain. 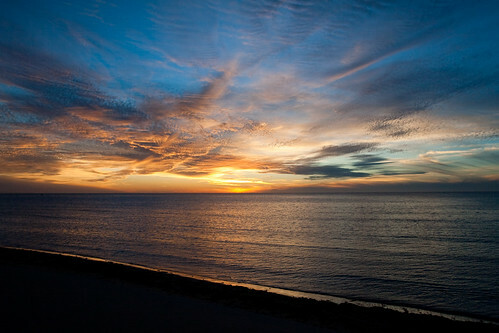 Be a little adventurous and climb the sand dune opposite the lookout for a view across a salt lake. Continue on towards Kings Canyon or spend a night in a camping park on the road in. 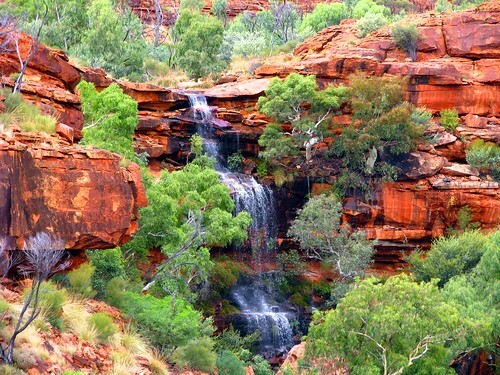 Kings Canyon is a true wonder; a mix of rugged beauty, stunning colours and lush gardens. The canyon has been carved by Kings Creek, slicing through the furrowed George Gill Range. You can take two walks to explore the canyon. The first is along the canyon floor, making your way past rocks and through luscious gardens and creeks. The second is along the rim of the Canyon. It is more arduous but undoubtedly more awe inspiring as one gets a more birds eye view of the magnificent canyon walls, it's trees and waterfalls. Spend the night in Kings Canyon Resort, 7km away from the Canyon itself. The resort has everything you will need for spending a night or several nights in your campervan . Need a Campervan to take on this spectacular road trip? Visit Motorhome Republic and find great deals on campervans! 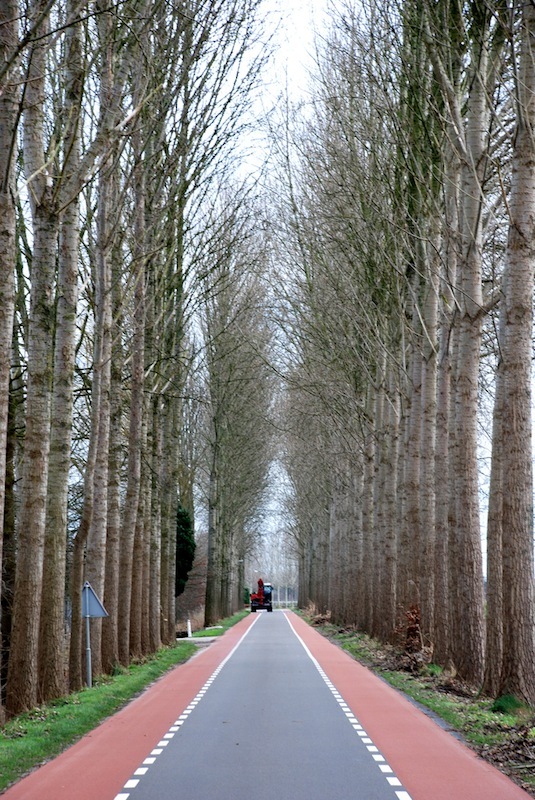 The Netherlands is a low-lying country of bikes, flowers, liberal minds and tidy towns. Much of it is below sea level, making it an flat and easy place to drive around. Friendly inhabitants and the well-ordered nature of the country add to it's appeal! Dutch people are keen campervanners too- here are some locations to begin your journey. This town is not far from the border with Belgium, and is a major railway junction, making it easy to get to for your motorhome pick-up! Rotterdam is a major port, with a forward-looking atmosphere and population. 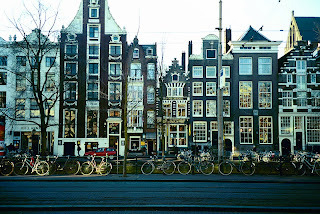 With diverse and modern architecture, it is an interesting city. 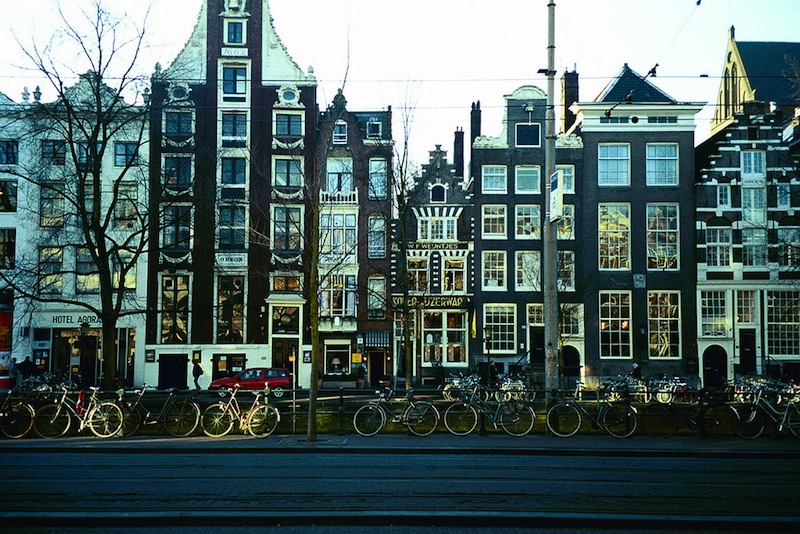 Rotterdam is well placed to explore the lakes, rivers and islands of Holland's southern coast. For great deals on Netherlands motorhome rental, click here! Faro is very much a sunseeker destination in summer and a beautiful, peaceful city in the off-season. 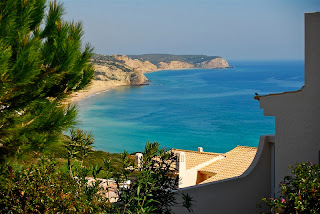 Right at the bottom of Portugal, from here you can travel up the country and into Spain. Lisbon is the capital of Portugal, and is thriving as a European city of note. 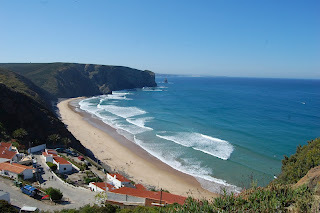 It is a great place to visit, and from here you can make your way up the coast- Portugal is a surfer's dream, with breaks both well known and undiscovered all the way up it's coast. So, if surf is your thing, this is the place to be! Sintra is close to Lisbon and can be used as an alternative pick-up outside of the city. 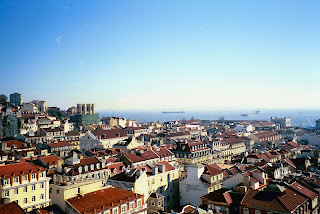 It houses a Royal Castle which was home for Portuguese royalty until the revolution of 1910. 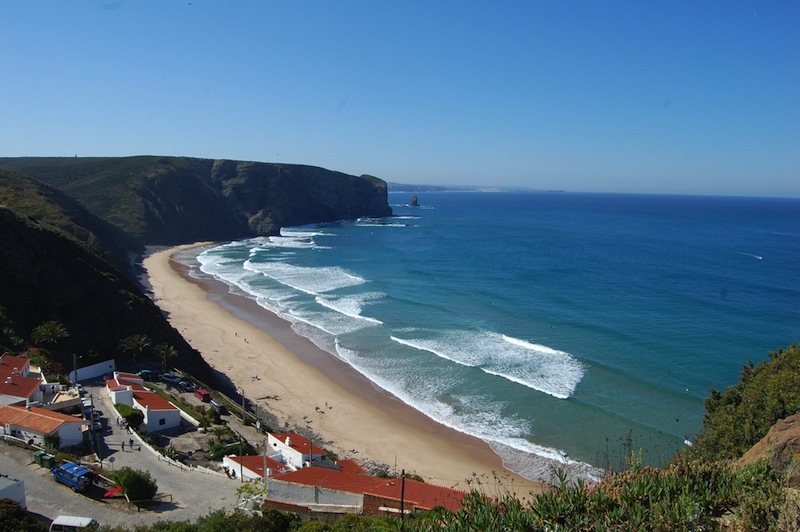 Have a look here for great deals on Portugal motorhome hire! South Central Colorado is a beautiful region. Lakes, mountains and valleys are plentiful in the area, and a road trip is the best way to see it. This suggested 2-day itinerary will allow you to see the best of the area, with time to take it all in. 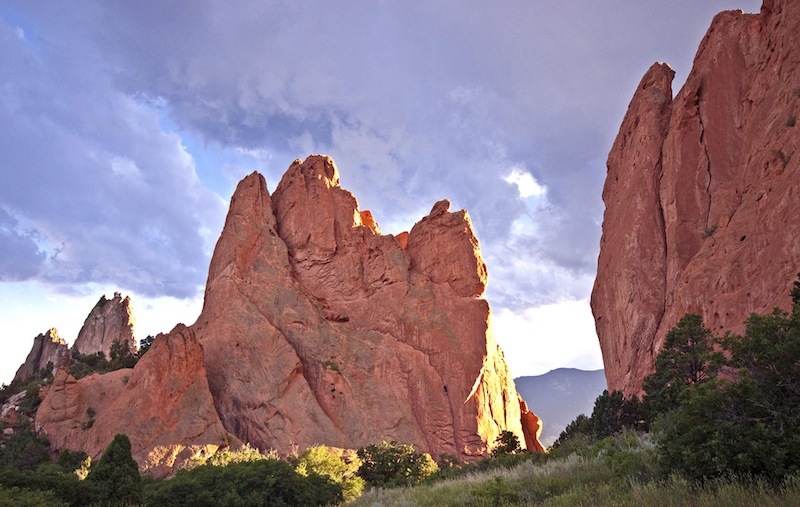 Start your trip at Colorado Springs, a city of natural beauty and cowboy beginnings. Visit the Pioneer Museum downtown to hear of Colorado's first European settlers. Go to the garden of the Gods, where amazing natural sandstone formations tower imposingly, surrounded by a city park. Make your way through the charming town of Green Mountain Falls to the reservoir of 11 Mile State Park, a spot for fishing, hiking, sailing and swimming. Continue on through some more amazing scenery- the route shown on the map goes off the beaten track onto Co Road 185. 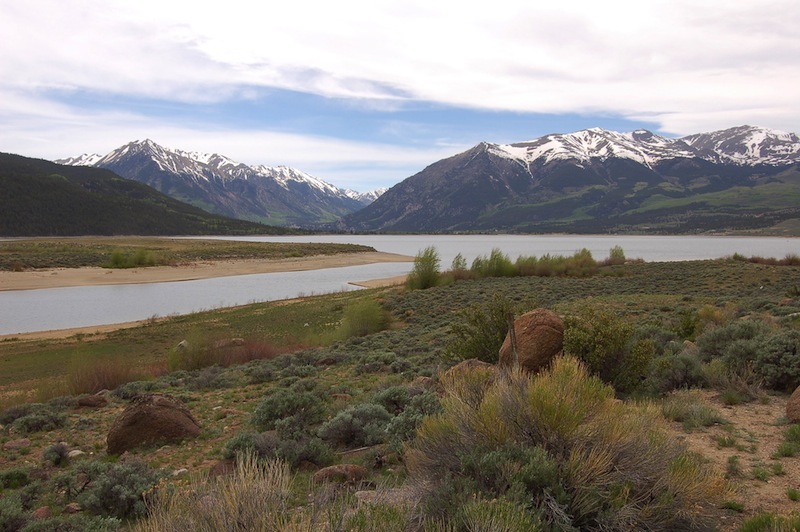 Just off this is the amazing San Isabel National Forest, with 19 peaks over 14,000 feet and several crystal lakes. 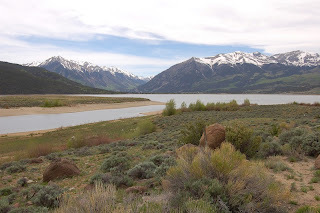 There are several campgrounds which you can find out more about here, so stay the night here and enjoy a good night's sleep surrounded by the beauty of Colorado! Next along the route is the town of Salida, where you can get a drink and sit overlooking the Arkansas River. 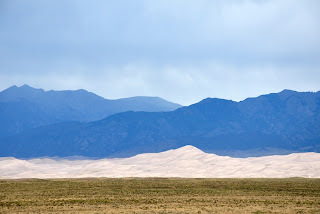 After Salida and several other small midwest towns, always fun to stop in, there is the Great Sand Dunes National Park. 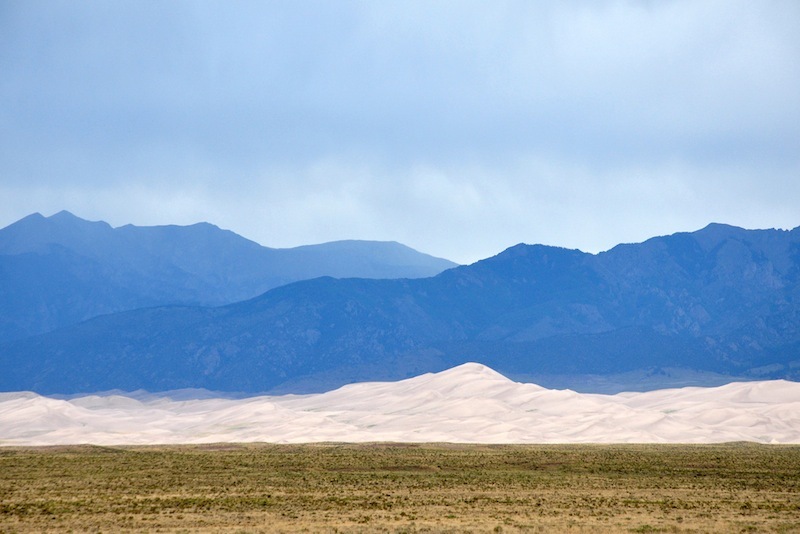 Truly a sight to see, this park has the tallest sand dunes in North America. Some rise 230 metres from the floor of the San Luis Valley. The Park is home to not only the dunes but a diverse range of landscapes- tundra, lakes and stream and pine forests. Pinyon Flats Campground near the Visitors Centre has RV sites available. Have a look here for great deals on USA RV rental! Barcelona is in the northeast corner of Spain, and truly has it's own culture-even it's own language. Although Spanish is understood and spoken by all when needed, the local language is Catalan. 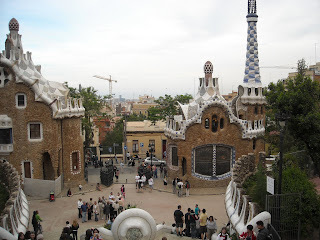 The city is absolutely worth a visit- it is filled with the weird and wacky architecture of Anton Gaudi, and has restaurants, bars and shopping to keep anyone entertained for weeks. Campsites are available on the outskirts of the city. 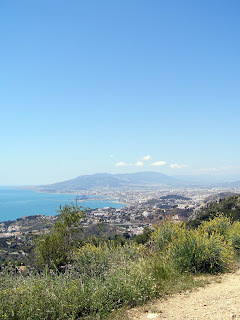 From Barcelona, you can easily make your way down the Mediterranean coast. Madrid is Spain's capital city, with a great cultural and artistic heritage. It has a very royal history as the centre of the Spanish Empire- the Royal Palace is located there. Check out Museo del Prado which has one of the world's finest art collections. Madrid is very central- from here, you can head towards the Med, the Atlantic or into Portugal or France. Malaga, on Spain's southern Mediterranean coast, is more laid-back than it's northern counterparts- start here for a relaxing beginning to your journey! If sun and sand is what you're looking for, a good trip would be to start here and work your way up the coast to Barcelona. San Sebastian is situated on the Atlantic coast, close to the border with France- so is a good starting point for a trip in both countries. It's most attractive feature is an amazing beach right in the central city- combining natural delights with cultural ones. Bilbao is very close to San Sebastian, but inland. It is home to the one of the famous Guggenheim museums, and is a great starting point for surfers- very close to the Atlantic coast and Spain's famous Mundaka surf break. For great deals on Spain motorhome hire, please click here. Campervan during the London Olympics! With 198 days to go, The London Olympics will be an unforgettable experience for anyone lucky enough to go! The Olympics go from the 27th July to the 12th August 2012!! Not far away at all! With a little over three weeks solid entertainment you'll want to stay in London the whole time and get the most out of it! Millions of people will flock into London which will make the city a very bustling and thriving place. From watching the runners sprinting to weightlifters lifting , The gymnasts twirling to the tennis players smashing, you'll enter a world of excitement. Be sure you don't miss out on being a part of this momentous occasion. Get in quick to book accommodation! A campervan is the perfect way to spend three weeks. Having downtime relaxing in campsites around the city, being able to shut out the busy world and the possibility of being able to head off on a roadtrip after the games is the way to go! Many campsites around the city have easy access to get you back to the games arenas after you've had a restful sleep and cooked a delicious meal! Don't spend an exorbitant amount on accommodation, hire a campervan from one of the many suppliers around the city or out of the city if you're coming in from elsewhere. Take a look around one of the following sites to find the best deal out there on Motor homes and the perfect campervan to suit your needs and wants. Motorhome Republic.com and Campervan hire sale finder.co.uk bring you the best prices for Campervan Suppliers in the UK and all around the world. With so many people flocking to London, accommodation options will dwindle down so get in quick! London has more Camping grounds than you'd think, and many within a short distance of Central London. Lee Valley Camping and Caravan Park is a peaceful site and for a small camping fee you'll be less than 50 minutes from Trafalgar Square. Play your own Olympics on their Tennis or Golf Courses. Lee Valley Campsite is a convenient reach to the games locations while still being in outstanding countryside and the Epping Forest. Abbey Wood Caravan Club Site is another perfect location for your stay. Feeling positively rural with mature trees it is still only a 35 minute rail into central London. Book the ultimate Campervan and Olympic experience!